So I listened to this new interview with Shyne as he talked to Cipha Sounds and Peter Rosenberg and their morning show recently where Shyne speaks about his differences with Rick Ross and Sean Combs. This interview was great for a couple of reasons, number one being that This crew was expecting a certain type of interview and to lead the discussion to sort of getting on or clowning Shyne for his dislike of Rozay and his voice after prison and his religion. It's kind of long but here are some of the points I took from this. 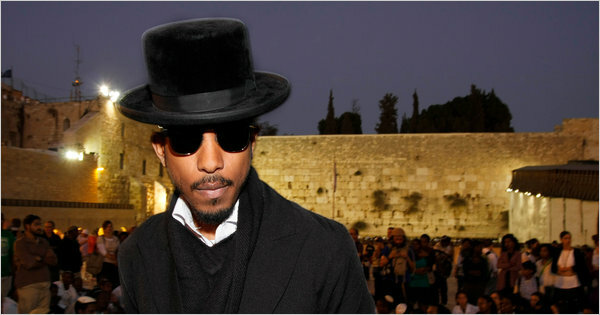 One, Shyne says his newfound religion was not a conversion, but an acceptance of something that already existed. Now this is near the end of the interview as Shyne says he doesn't think Drake could give Ross a pass or be a kind of reason behind the title of Rick Ross' latest mix tape. As Rosenberg tries to say Ross is trying to show respect to the idea of a Bat Mitzvah. Maybe, Shyne isn't as crazy as he sounded at first, and since everyone tried to clown him, for going and being official, how is this guy allowed to pretend or just pretend like he is in that world. The other thing I took from Shyne is that he is a legitimate dude. He is the kind of guy who has done real things in his life and doesn't want others to follow those footsteps. I think of Maino, TI, Jeezy in this same frame. Shyne is more apt to speak out about Ross because as he says, he respects C.O. 's or those who are playing their role, but for Ross to go from being that guy to being the ultimate kingpin, he feels is plagiarizing his life or the lives of people like him who really do things and having no remorse for it. He repeatedly brought up the idea of accountability to the fans and kids who are listening to the music and being influenced by it. He explained everything so well in this interview that the morning show crew at Hot 97 didn't know what to do. Just listen to his explanation about his voice and the things he went to. This was greatness and I hope you get the time to listen to shyne take them to school.